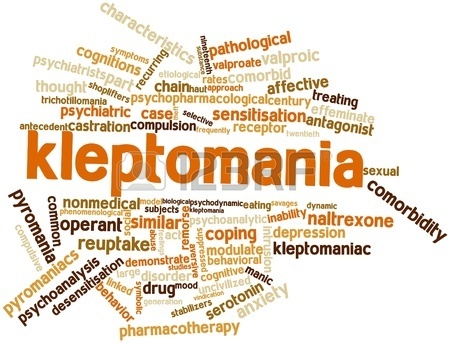 People who steal at retail stores are otherwise known as Kleptomaniacs. Store Pilferage, as it is also known accounts for about 10% loss on Turnover each year across Organized Retail in India. Worldwide, the numbers vary but is perhaps the highest only in India. From shaving razors to condoms to shoe laces to mobile phones, people steal anything and everything from retail store shelves. For Retailers who make a paltry margin on Sales, they lose their whatever little profits they make because of such losses. It is estimated that in 6 out of 10 such cases, the store employees are involved in store thefts. 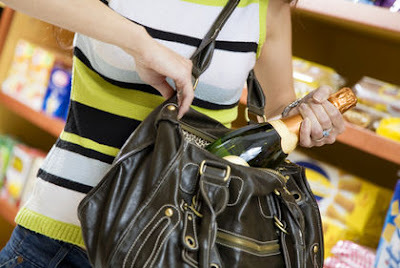 Ego Trip: Customers steal at Retail Stores mostly to satisfy their Ego trips. They may even steal items that are not required for them or someone they may know. Bet with Friends: This happens most often, especially among the younger lot when they place bets among friends to bring a prized catch from a Retail store. Need Vs. Want: Many times, the person who is stealing may have a genuine need for such a product and may not have the means to acquire them lawfully. Compulsive Urge” At times, for kleptomaniacs, it’s just about stealing something from somewhere which may have less or no value at all. So what should Retailers do about it? Worldwide, Retailers are fighting a losing battle against Kleptomaniacs. For each case that gets caught, there are liberals and human rights activists who fight for the Kleptomaniac’s justice. Things are worse for juvenile offenders. 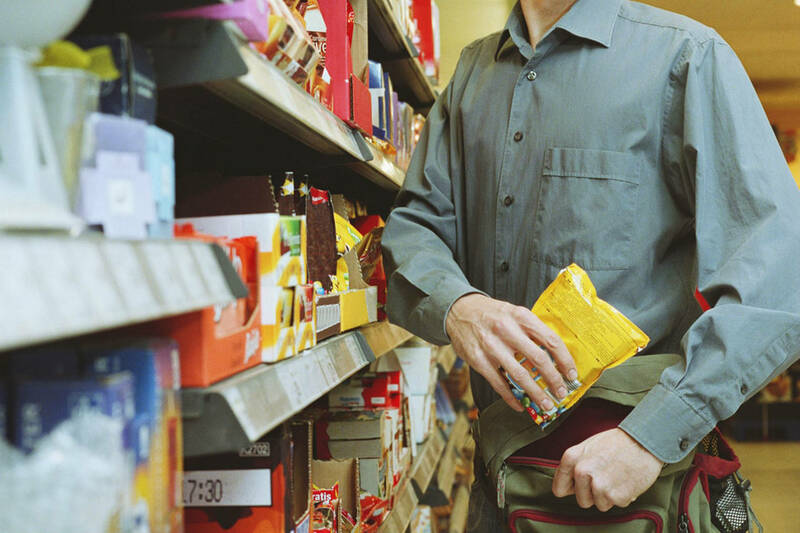 In most cases, the Retailers simply ask the person who steal to just pay the amount of the products and leave the place. A few of them take law unto their own hands and provide third-degree treatment by getting physical and abusing them. In a few more cases, the local police is called and the person is handed over. Sadly, there is no specific law in India against kleptomaniacs. This keeps the Retailers worried all the time about what action must be taken against them. CCTv: Retailers may install CCTv cameras across the store. However, this is just a deterrant. A mere signage that the store has CCTv cameras or even dummy cameras usually deter potential customers who want to steal to recede. Strict Policy: A display of the policy against Kleptomaniacs may again deter them to avoid stealing, such as causing public embarrassment through photos. Worldwide, it’s a common practice for Retailers to increase the “Selling Price” of products and then offer a huge discount to Customers. This works well in most countries where there is no MRP regime – Maximum Retail Price. MRP is fixed in certain countries like India and even has an Act passed by the Parliament. According to the MRP Act in India, any product that has been packed and sealed must carry an MRP – a price that’s the maximum fixed for that product. The manufacturer or the seller is free to fix the price but there are a lot of governance issues around this. For example, a product that has to be sealed must go through certain formalities with various Government Departments. 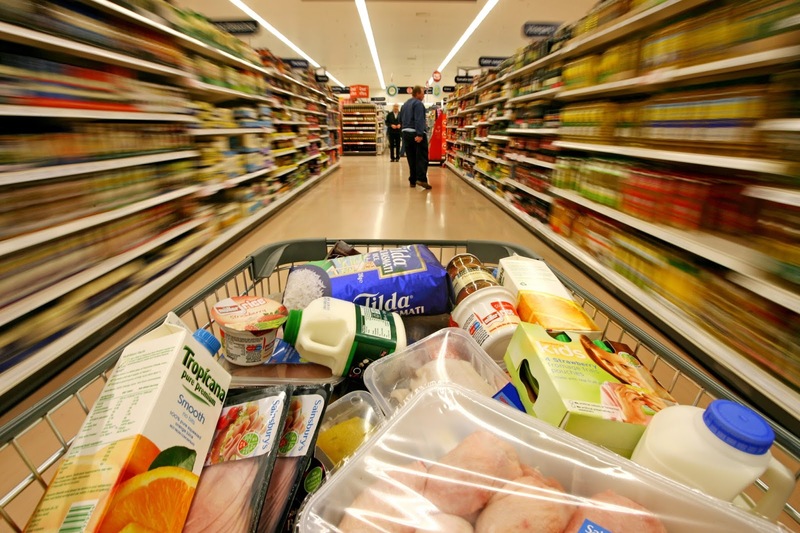 Although prices keep fluctuating from time to time, especially for essential items such as Grocery, the Retailers can keep changing the price but after prior information to the concerned Government Authorities. A packed product could mean a premium shirt from Louis Philippe or 1 kg of Rice or Atta and everything in between. This applies for Cars, Bikes, Consumer Durables, Alcohol, Packaged Drinking Water and almost everything that can be packed and sold. However, there are exceptions for Fruits & Vegetables, Meat, Flowers, etc. which are not covered under the MRP guidelines. Therefore it is quite common to see Organized Retailers playing around with the F&V category which is not only demand & supply dependent, but also on various other external factors such as a Traders strike or a Truckers strike. 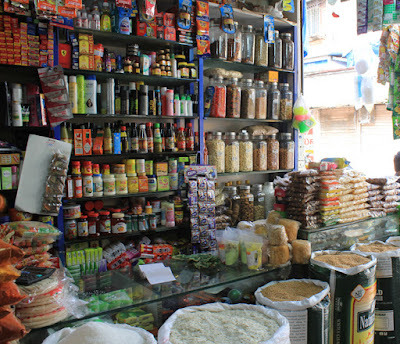 Small Retailers, especially the semi organized ones do not follow the MRP guidelines strictly. I had an experience just yesterday at a premium Toy Shop in Chennai. Being summer time with holidays for kids, I visited the shop to pick some board games and toys for my kids. There were items which were pegged at high discounts – 30% - 50%. But most of these items didn’t have an MRP. It seemed most of these items were being imported by the Retailer directly from the Manufacturer or an International source. And therefore had the liberty to adjust the prices. Interestingly, the law allows Retailers to do so. The prices can be arbitrarily changed for most products (except alcohol which is governed by the State in TN) by the Retailers and hence the practice of “jacking up prices” is quite common during such times. While there was no real discount to the customer, it was a sort of a “made-up” discount that the Customer is expected to perceive as a value offering. With the increasing availability of products, customers are quite aware of such malpractices and have taken the Retailer/Seller to the courts. One such recent example was how a consumer in Hyderabad won a case against INOX multiplex for selling Drinking Water above Market Prices although with a different price printed on it. The Court was of the view that the same product cannot be at different prices in different locations and the Customer won hands down. So how does the Retailer manage to still offer huge discounts (especially to match online prices) and still be profitable? Indeed, it’s a tough call. With markets still in a limbo, it has been a challenge for Retailers to survive but they come up with various tactics such as product diversification or even a new format. Some have pulled down their shutters but the show goes on. For any retailer, Inventory Management is about maintaining the right level of stocks at the right place at the right time. If this is achieved, then the Sales can increase by atleast 30-50%. Sadly, it isn’t so easy. The “Fill Rates” as they are called refers to the amount of stock level that’s maintained at the Retail stores. It varies according to formats, location, pricing strategy, etc. In Grocery Retail, a fill rate of 80% is considered to be healthy while in fashion, it is ideal to have 90% and above. It may not even be relevant in Gold Jewelry while in Consumer Durables, it is normally about the breadth of brands and models one carries. I set-out earlier this week to buy some general merchandise for our new office. As always, I prepared a list and walked in to one of the oldest Grocery stores in the neighborhood. The first thing I asked – a dustbin, wasn’t available. Really? And then I asked for another thing, which wasn’t available. And then another thing and the same answer. This sends a very negative imagery about the store to the potential customer. In Retail, it is estimated that over 70% of customers always purchase more items than they had originally come to buy provided a wider range of items are available and also the Retailer maintains a level of excitement at the store. In just a few minutes, I knew how the store was being managed since products of the same category were kept for display in two locations inside the store! Really felt bad for the store and the Retailer Brand that there is scant focus on merchandising & visual merchandising. But the god thing was I also picked up something which caught my attention at the cash till, which I had not written in my list. Smart placement, I would say. Soon, I reached out to another store closeby for purchasing the rest of the items – now this is the last thing that a customer wants to do – store hopping for essentials. And trust me, while e-commerce has chipped in to some extent in offering a wider range, even they haven’t been able to crack the Hyperlocal delivery where such products are delivered in the fastest instance. At this store, I picked up the stuff I was looking for, thankfully got what I wanted and bingo! Picked up a few more things which I hadn’t planned to purchase. Again, because it was displayed near the Cash tills. Inventory Management at a Retail Store has been automated for well over 2 decades now, from running simple software solutions to implementing complicated ERP solutions from top IT Companies. Sadly, even then, the fill rates in India in the Grocery store business continues to be less than 60%, sending Customer Experience to very low levels. I would also say, Indian Customers have been very nice to Retailers by being lenient loyal to such retail stores, shopping frequently at the same store even though the Retailer provides a poor experience. When I try to analyze, it’s partly tech-related but more importantly, the attitude of the front-end staff make all the difference. If only they displayed the products that have arrived from the Warehouse and also send out feedback of what’s not available! Wishful thinking. I reiterate that Retailers can improve not only their Sales but also their margins by managing Inventory better. But it is a discipline to be followed daily.